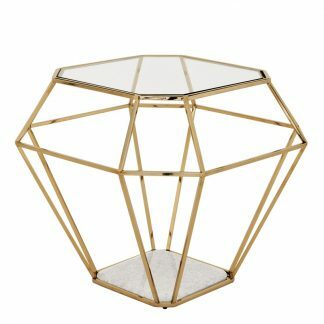 Unusual jewel shaped metal side table with glass top from Eichholtz. 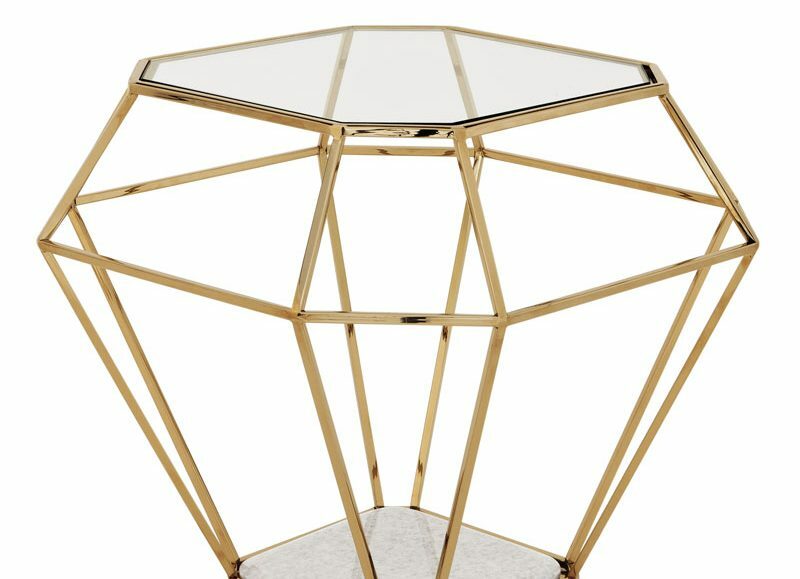 This Eichholtz gold finished side table has effortless glamour which will create a focal point in any lounge. The polished wire frame gives a three dimensional appearance of a faceted diamond and rests on a weighted white marble base.